›BLACK Supreme Table 62" with Folding legs for 8 players. BLACK Supreme Table 62" with Folding legs for 8 players. We understand that not everyone has the place to have themselves a professional poker table. This 62” table has a full set of bumper pads around the table and features 8 players’ positions to fit any home or apartment with its folding legs for easy storage. The pads are covered with a high-grade mildew-resistant black vinyl. 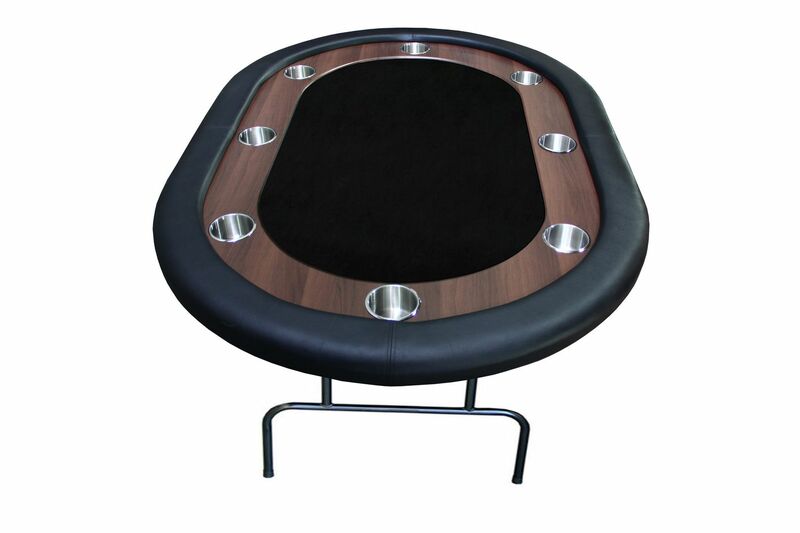 The tabletop is produced from a casino style high-grade black felt with built in cup holders. Now everyone can enjoy their favorite card game around a nice, comfortable casino grade table.